New to camping? Camping can offer you a wonderful outdoor experience. 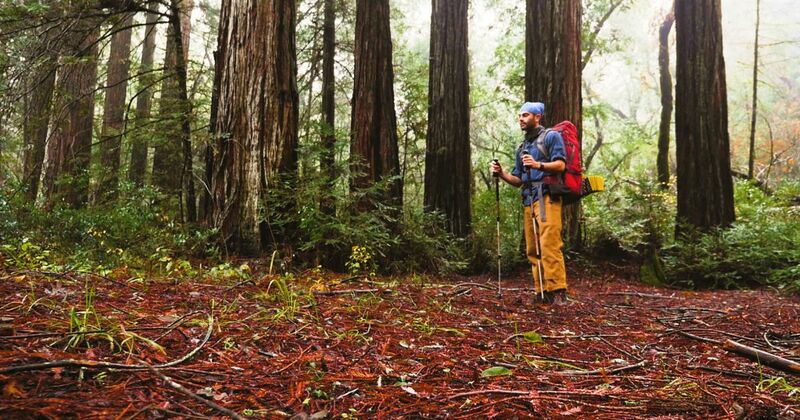 These five tips below can help you find a perfect campsite, set up your tent and fire pit, keep your area well lit and your food safe from roaming bears. Rocky terrain does not offer a good place to rest your head at the end of a long day of hiking or exploring. 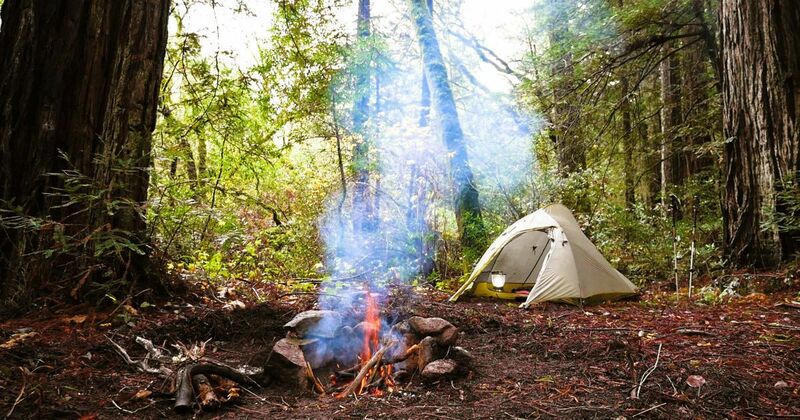 To pitch the tent and build a fire pit, you need to find a suitable location to camp. It's important to give yourself enough time to properly set up the campsite, so start looking early in the day. Once you've set up everything, use the remaining daylight hours to explore. The video below shows how to find a site close to fresh water and that is easy to return to after hiking. It can be a little tricky to find a perfect campsite, especially if you are not familiar with the terrain, but some prep work can help you turn a good location into a perfect site. It's important to look for a clearing with dry ground that is as level as possible. 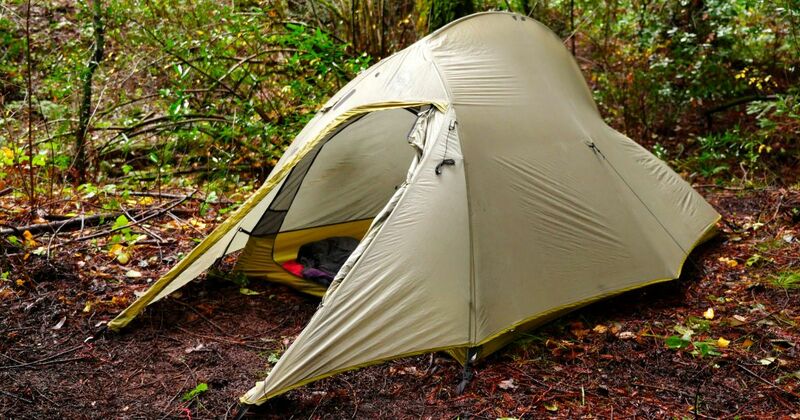 However, if the soil is slightly damp, a waterproof tarp can act as a barrier between the moisture and the tent. 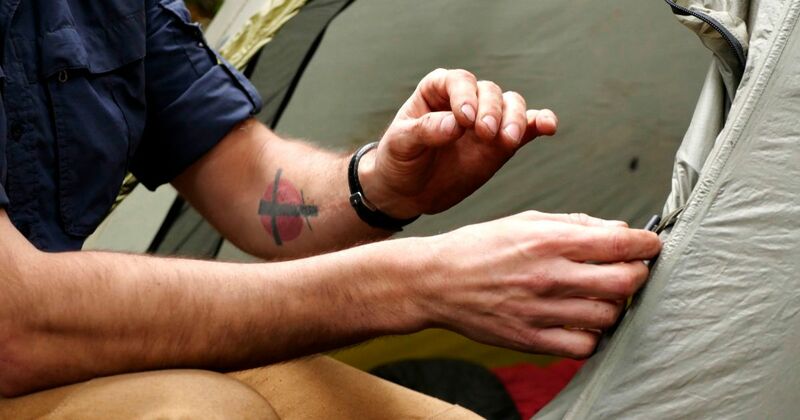 It's best to pitch your tent on dry, level ground free of rocks and twigs. This means you need to clear the area as best as possible before placing a tarp or ground cloth where you want the tent to go. Lie down on the tarp prior to setting up the tent. If it doesn't feel right or seems to be on an incline, take the time to adjust the tarp's placement or level the ground more. Use a mallet to drive in the tarp's stakes if the ground is rocky. The tutorial below shows how assemble the tent once you've decided where it should go. Bear bag hanging or "bear bagging" refers to hanging your food so wildlife such as bears, coyotes, raccoons and skunks don't eat your food. 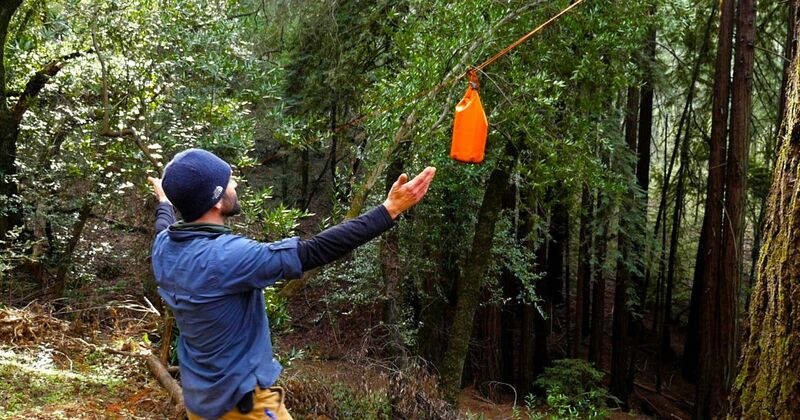 Place the bags several feet higher than your tent and several feet between tree trunks so animals can't easily climb up and access the food. While you can use any cloth bag as a holder, the video below describes the best type of bag to use that does not emit scent or have straps that an animal can grab. Place the food bag as far away from your campsite as you can so if bears do attempt to take your food, they are not near you. 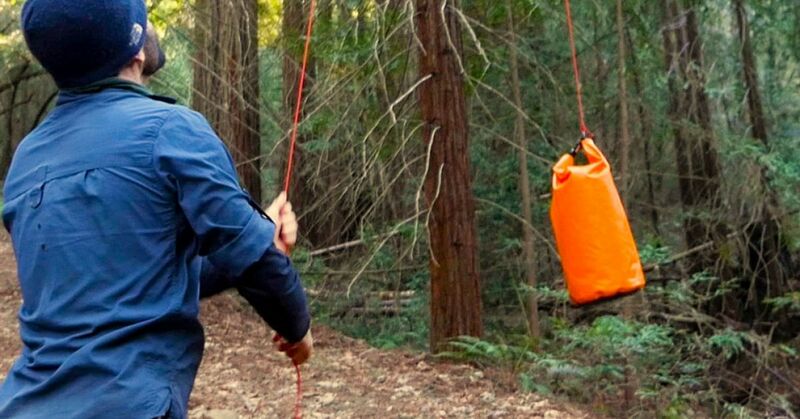 Watch the tutorial to learn how to hang the bag and which knots to use. 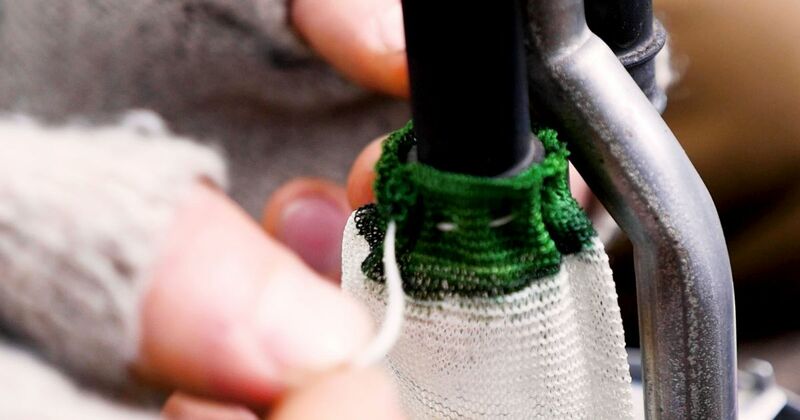 Lantern filaments or mantles are very fragile and often break en route to a camping destination, so carefully pack them in a blanket or cloth and transport them vertically. Do not attempt to change the mantles until the lantern is cool. Purchase replacement mantles prior to your excursion and pack them with your supplies. 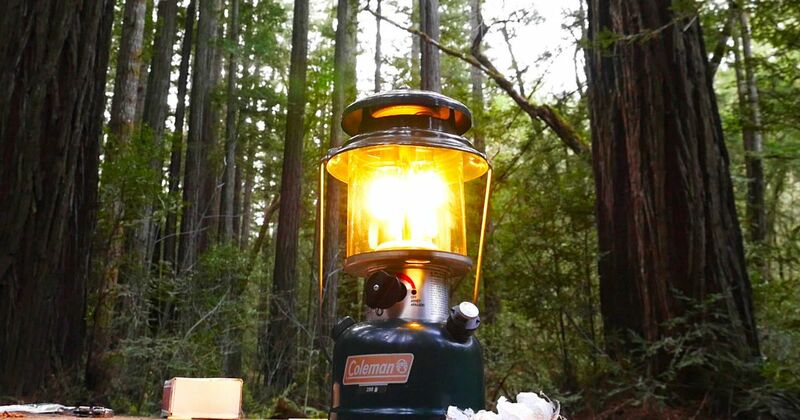 In addition to mantle replacement, the video below teaches how to operate a gas lantern so that shines as brightly as possible. Forests get cold at night, so a fire pit for warmth and cooking is essential. If an existing fire pit is not available, choose a location away from the tent and any vegetation. 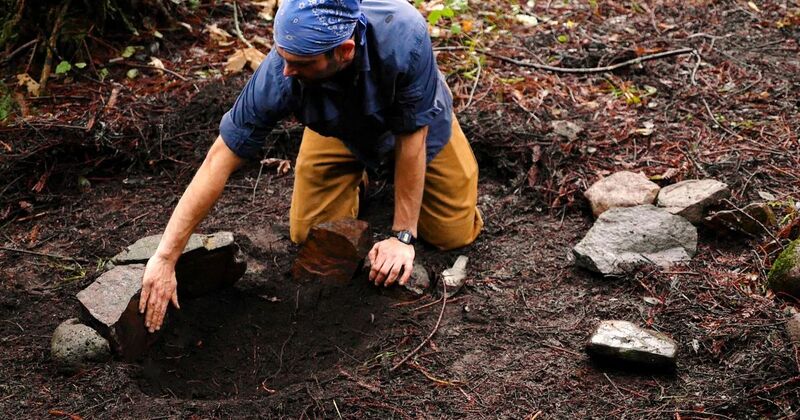 To retain heat and limit escaping embers, dig out a depression in the ground and then clear a few feet around the pit. Specific rocks maximize heat retention and the video below tells you what they are and how to arrange them. 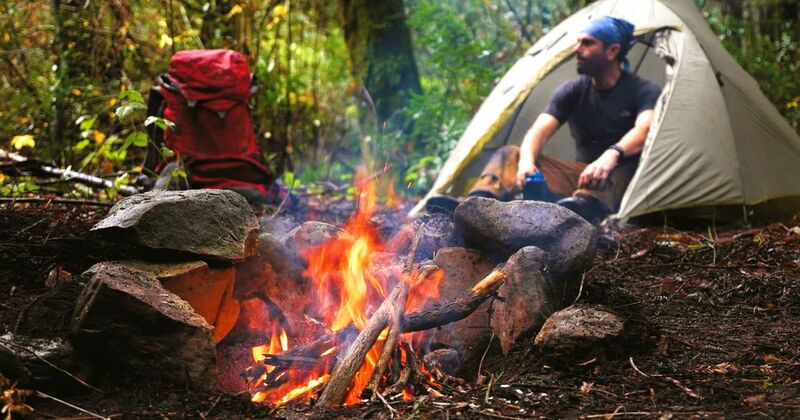 When you are ready to move to another campsite, make sure there are no glowing embers in the fire pit, and cover it with the rocks and dirt used to make the pit. Finally, remember to leave the site as you found it, filling any holes, extinguishing any fires and picking up all garbage. With these five easy tips, you will find that your camping experience is enjoyable and be eager for your next one!